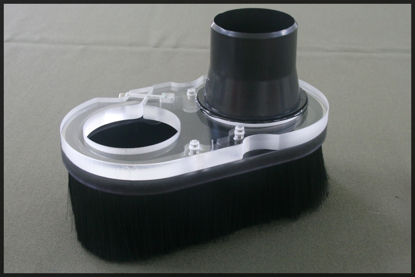 You have found the site to purchase one of the most innovative, easy to use CNC dust shoes available. The "Split-Shoe" is a two piece shoe. An upper acrylic plate clamps around the bottom portion of the router/spindle. 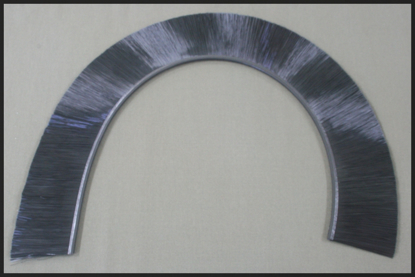 A brush ring is attached to the upper acrylic plate by rare earth magnets. 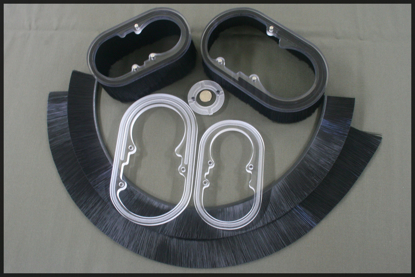 This removable brush ring configuration provides quick and easy access for bit changes and the clear acrylic allows the bit to be viewed during cutting. 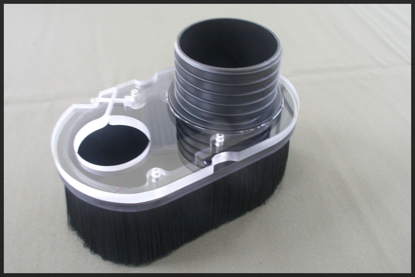 The standard split-shoe has 3" long brush that is long enough to clear clamps and a 1" inner brush that helps keep the brush from getting sucked into the inlet thereby providing excellent collection efficiency. 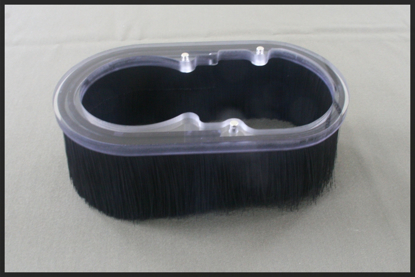 An optional 2" brush ring is also available. 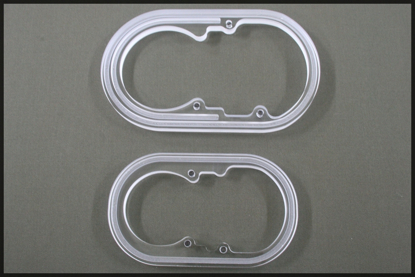 The Mini Split-Shoe is a smaller version of the standard shoe. 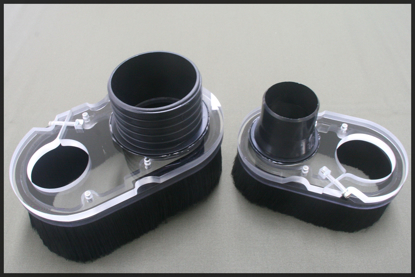 The Mini Split-Shoe can be ordered with either a 2" or a 3" brush and uses a 2-1/2" quick connector that fits most shop vacs. Add one of these shoes to your machine and you will have a cleaner shop and a healthier environment. A video showing the first prodction shoe can be seen here: Standard Shoe In Action. A review of the STANDARD shoe can be seen here: Standard Shoe Review. A review of the MINI shoe can be seen here: Mini Shoe Review.